Home &sol; Internet &sol; Blogging &sol; Do You Want to Boost Your Blog’s Alexa Ranking? Nowadays the main concern faced by blogging sites and many site owners is the Alexa ranking. A lower Alexa rank is good for blog or website and it means it is running successfully on the internet and thus, holds potential growth prospects. Besides, the growing competition in business If you wish to sell direct ads then one of the important factors to consider is the Alexa ranking of your website. Preference is given by advertisers for posting ads on websites/blogs with lower Alexa rank. Beginners in the field of blogging might not be able to understand the need to Alexa rank for an effective blog. This article chiefly concerns you. Alexa is the acronym for “Actionable Analytics for the Web” and is one of the most popular online companies governed by Amazon. The Alexa ranking is updated on a regular basis where as Google Page Rank is stable. The rank is determined by acknowledging several essential factors. 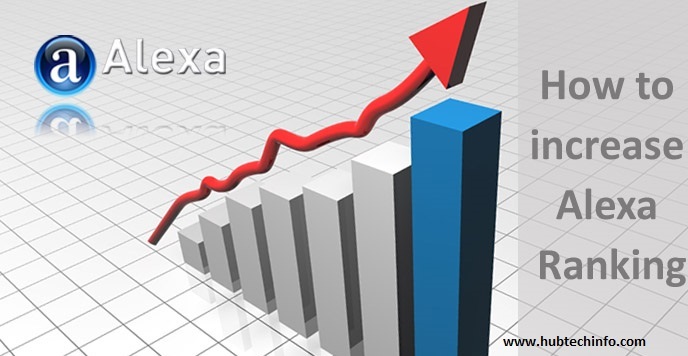 Alexa rank can be increased by boosting the influx of internet traffic. It counts the incoming blogs which comes with Alexa tool bar and those that require the installation of the rank widget offered by Alexa for traffic calculations. How your website can be verified by Alexa? In order get your blog or website verified by Alexa, the blogger needs to assert his blog on Alexa. On doing so he gains the control of the domain. This in turn makes the blog trustworthy for Alexa; the process of claiming is free of charge. Alexa rank is only measured for blogs that have the Alexa tool bar installed. Hence, the blogger and the reader both should install the tool bar. You will see that once the Alexa tool bar is installed, the Alexa rank of your website or blog will decrease which is good. Serving as an alternative to Alexa tool bar the rank widget can easily be installed by the readers of the blog. This will enable their blogs to get better ranking and will be readily accessible to the masses. The quality of content you serve on the blog is crucial for the Alexa ranking. So it’s advisable to create link baits for attracting maximum traffic to your blog. Link bait is mainly a piece of content where the reader can be redirected to other sites. Make sure that the content that you are going to post is informative, of high quality and meaningful. This is the speediest way to improve your Alexa rank by including traffic from blogging and tech. sites. You can opt for guest blogging and post your blogs on high traffic websites after getting approval from them. This will help in gaining valuable backlinks. Writing good reviews related to items offered by Alexa.com and posting them with a few backlinks on your website or blog will help in achieving a better rank. Blog commenting on other website and blogs of same category will fetch more backlinks to your blog which bolsters your Alexa rank. Bloggers can boost the rank by utilizing social media for marketing their blogs effectively. There are several top-notch social media sites which can be put to use such as Facebook, Twitter, Google Plus, LinkedIn, Pinterest, Tumblr and much more. There are several top social media marketing tools which can be put to use for proper social media campaign management. To increase the backlinks associated with the blog and the online traffic the bloggers should submit their blogs in good communities. There are several such sites that can be easily found on Google. These are the most suitable methods to boost the Alexa rank. All of the above mentioned methods if followed in a consistent manner can get you incredible results. Do share your views with us by commenting. How to Get Traffic from Pinterest to your Blog?